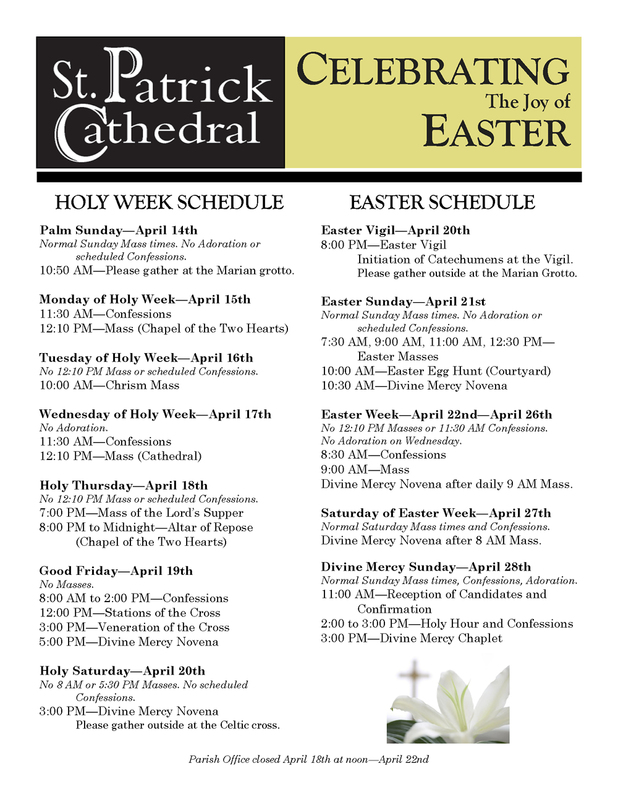 The Cathedral of Saint Patrick is located at 1621 Dilworth Road East, Charlotte, NC 28203. We are in the Dilworth neighborhood of Charlotte, situated just south of Uptown. Take Exit 10A to W. Morehead St.
Drive eastbound on W. Morehead St for 1.4 miles. Turn right onto Dilworth Rd. Keep left onto Dilworth Rd. East. The Cathedral will be on your left. Take Exit 8 to Remount Rd. Drive eastbound on Remount Rd., which will become Ideal Way at South Blvd. Continue heading eastbound on Ideal Way. Turn left onto Dilworth Road East. The Cathedral will be on your right at the intersection of Dilworth Rd. East and Buchanon St.
Take Exit 38 onto I-77 S, and then follow the "From I-77 N" directions above. Take Exit 243, and drive southwest on Charlottetown Ave. Turn left onto Kenilworth Ave and drive southwest. Turn right onto Buchanan St. The Cathedral will be on your right at the intersection of Buchanon St. and Dilworth Rd. East. Take Exit 1D onto Carson Blvd. Turn left onto S. Mint St. and drive northeast. Turn right onto W. Morehead St. and drive eastbound for about 1 mile.